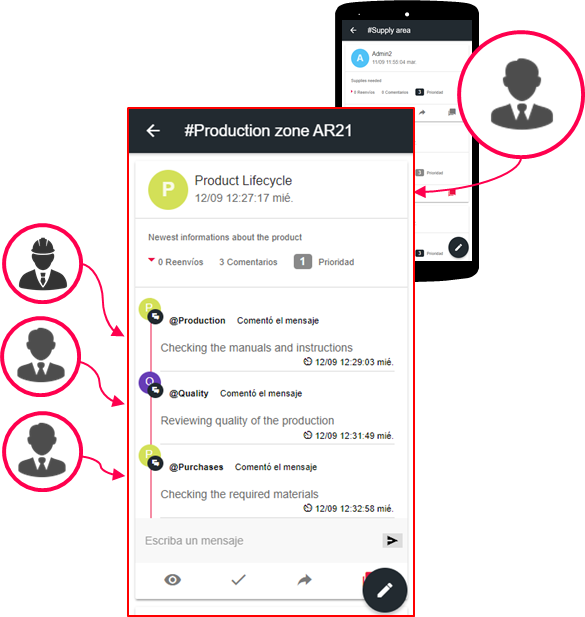 Coordinate throughout the different areas of your company (engineering, purchasing, quality, production, etc.) the change in product specifications. 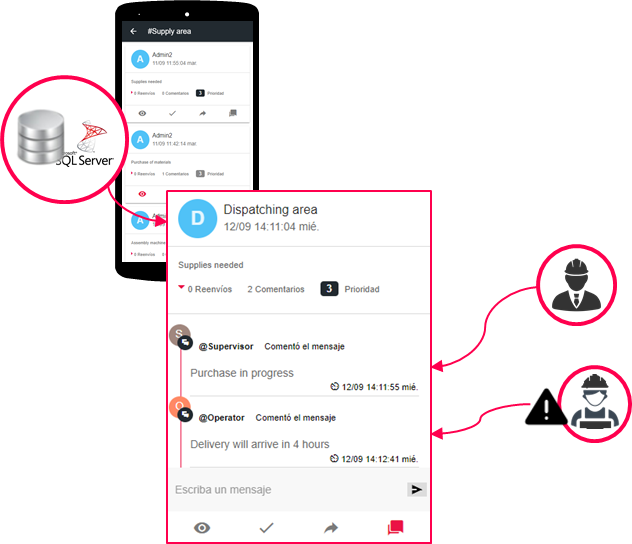 Optimize the management of your warehouse by receiving notifications of logistical tasks in real time: deliveries, minimum stocks, supply to production, etc. 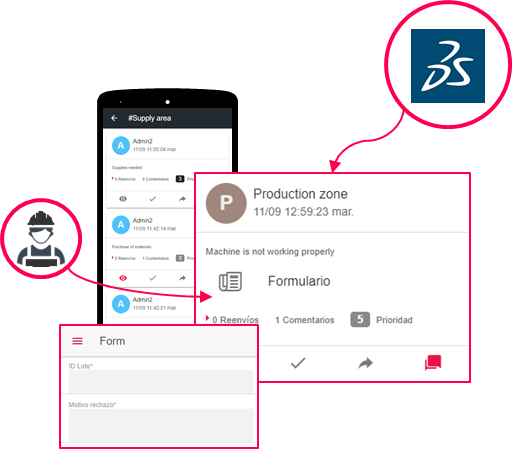 Manage and coordinate the production process and its users in the factory, providing greater visibility of tasks, production orders, work instructions and material specifications. 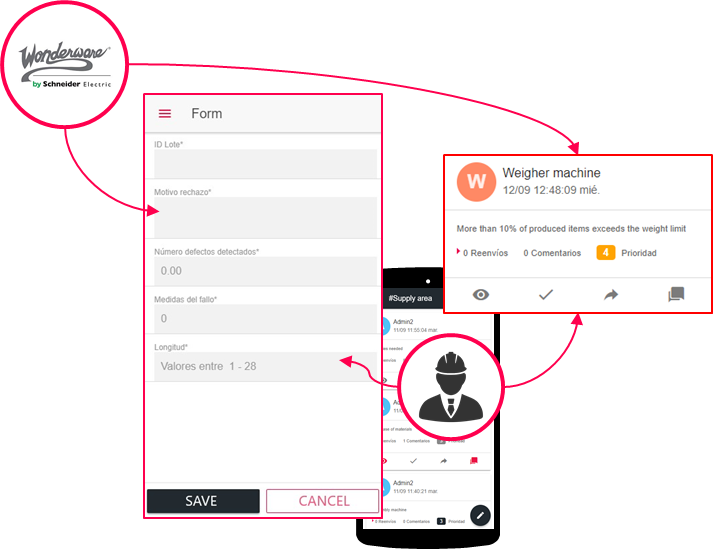 Receive in real time the deviations and non-conformities of your product for faster decision making. 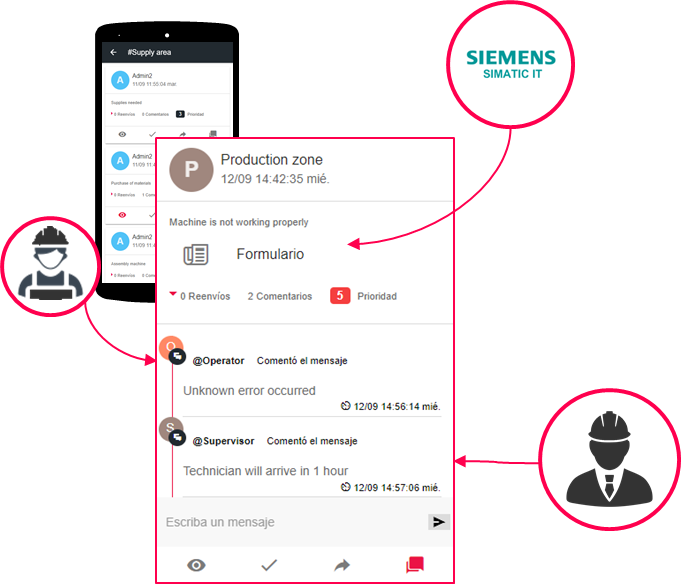 Improve factory maintenance by sending machinery related incidents in real time, allowing you to anticipate breakdowns that cause unplanned downtime.